Are dog bites more likely to occur during a full moon? In various cultures throughout the world there is the widespread belief that animals, including companion dogs, are more likely to bite when under the influence of a full moon. Research which scientifically validates this belief is lacking t, but one rather controversial study indicates that the lunar cycle may have some effect on animal aggression.This hypothesis was tested by a group are researchers in England. 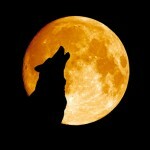 Using the period of the full moon as a reference point, researchers recorded the incidence of animal bites for all periods of the lunar cycle and found that bite rates, presumably most often inflicted by dogs, were significantly lower in the absence of a full moon. Subjects studied were 1621 patients admitted to the infirmary’s emergency room Bradford Royal Infirmary in Bradford, England. during the period of 1991 through 1997. Overall, the chances of a patient being the victim of an animal bite were twice as high on or around full-moon days. Contradictory results have been reported elsewhere, however. For example, a study from the University of Sydney in Australia compared dates of hospital admission for dog bites in Australia with dates of the full moon over a 12-month period and found no relation between the full moon and dog bites. In fact, full-moon days were associated with slightly lower admission rates for animal bites. In sum, whether there is a valid positive association between the presence of a full moon and the frequency of animal bites inflicted to humans is still uncertain, but even if some positive association does eventually come forth, one must carefully note that causal inferences should not be drawn.